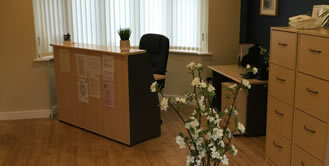 Mickleover Chirohealth Clinic has been a successful chiropractic clinic since 2001. We are now situated on Station Road, in the heart of Mickleover providing easy access from Derby, Burton and surrounding areas. 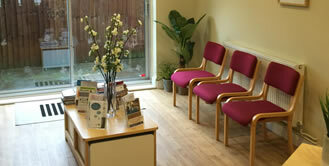 We have a spacious modern clinic with plenty of parking. For further information on our location please see where are we? 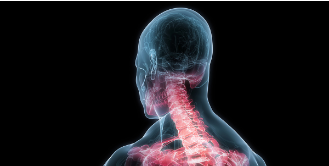 Some people have not heard of chiropractic treatment or are unsure of what it can offer. If this is you please do not hesitate to call us and our friendly reception staff will be more than willing to help. If your not to sure about the benefits of chiropractic why not take advantage of the FREE spinal check. For more information click here. Here at Mickleover ChiroHealth Clinic we aim to provide appropriate treatment for you to enable you to get back to your usual activities as soon as possible. We also have physiotherapists and a massage therapist with whom we work closely. 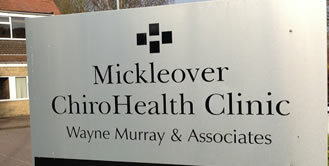 Our aim at Mickleover ChiroHealth Clinic is to provide quality, affordable chiropractic care for all the family. We believe that many people can benefit from chiropractic care – why not contact us and see how we can help? "Fantastic, knowledgeable and welcoming - I would definitely recommend Mickleover ChiroHealth" - A.L. "Would definitely recommend to anyone looking for treatment." - D.B. "I very much enjoyed my experience at the clinic ... very relaxing. Thank you." - M.T. "... did a brilliant job." - D.D. "This is a great clinic with car parking, friendly receptionists and of course brilliant therapists...come and see for yourself!" - T.M. the game I love. I will continue with maintenance treatment so I can continue doing the things I enjoy" - J.L.